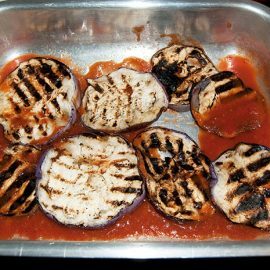 The original recipe needs the fried eggplants. 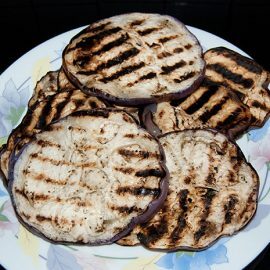 I grill the eggplants, because they are more lighter. 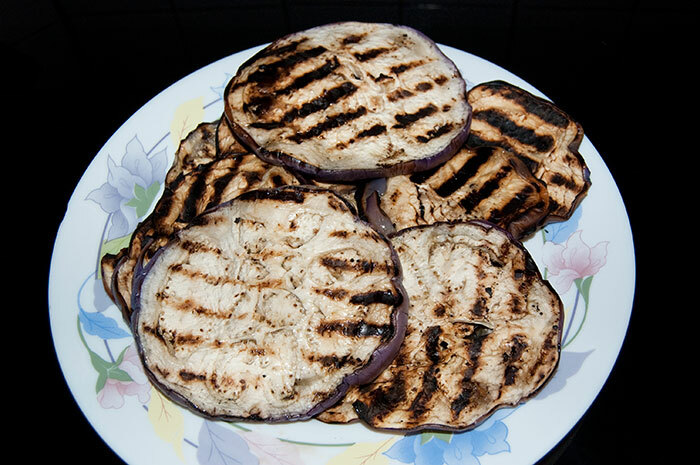 Clean and cut into slices about 1cm in the eggplants lengthwise. 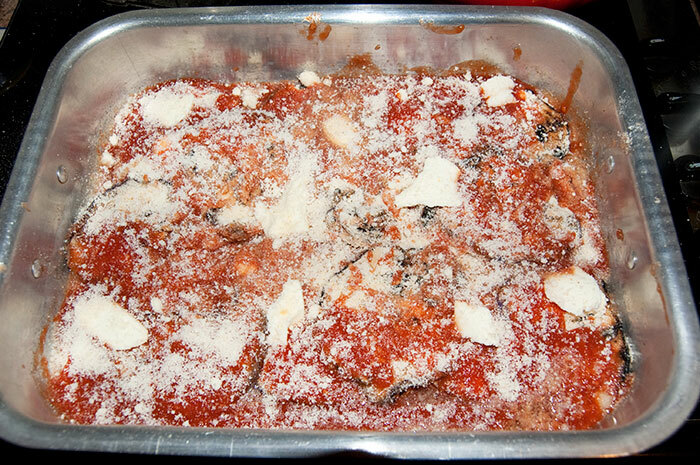 Put them in a bowl sprinkle salt at least 10 minutes to remove the bitterness. 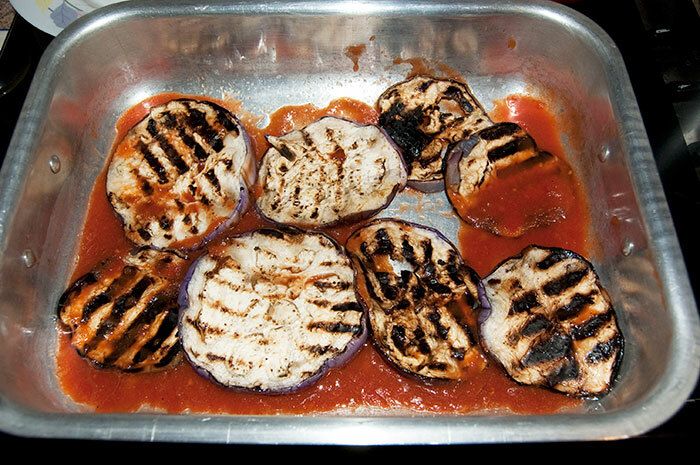 Then grill the eggplant on the plate. 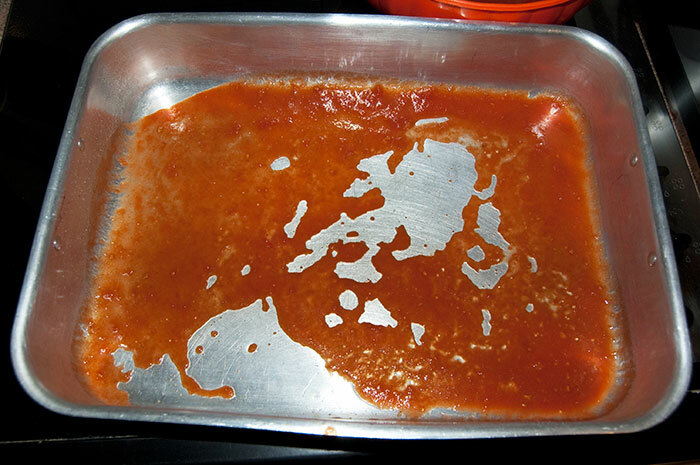 Take a baking dish and grease it and pour a little tomato. 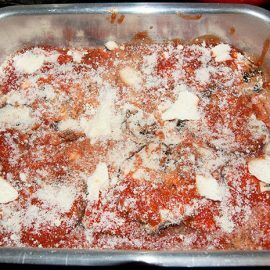 If it is too thick dilute with water. 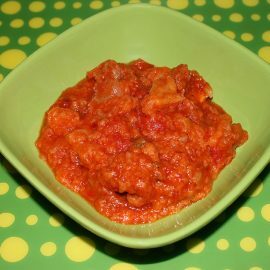 If you use peeled tomatoes mix and add a little water too. 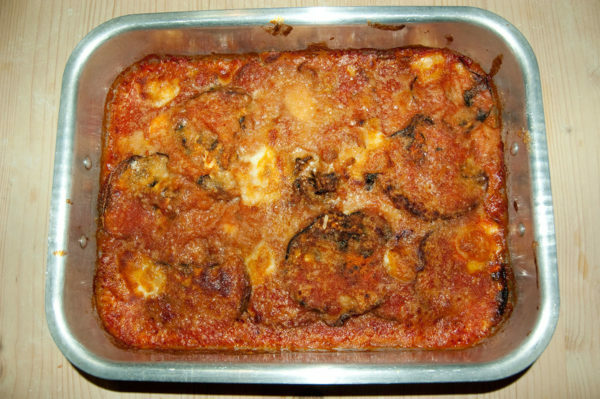 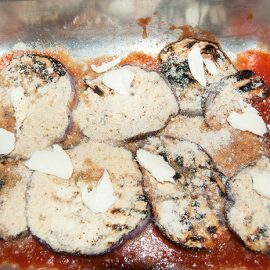 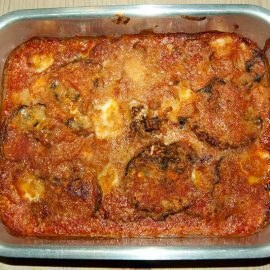 Make a layer of eggplant, then tomato, sprinkle with cheese and bread crumbs, add 2 or 3 pieces of mozzarella salt, pepper and oregano. 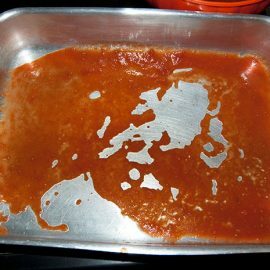 Do other two layers as well. 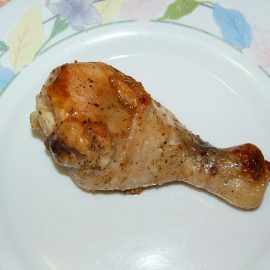 Bake about 25 minutes at 200°. 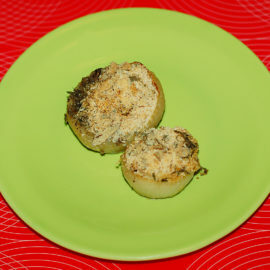 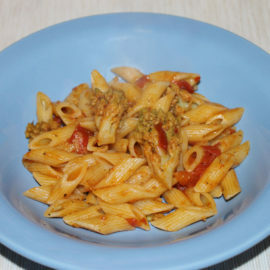 To do this recipe available for Dukan diet don't use oil, parmesan cheese and bread crumb. 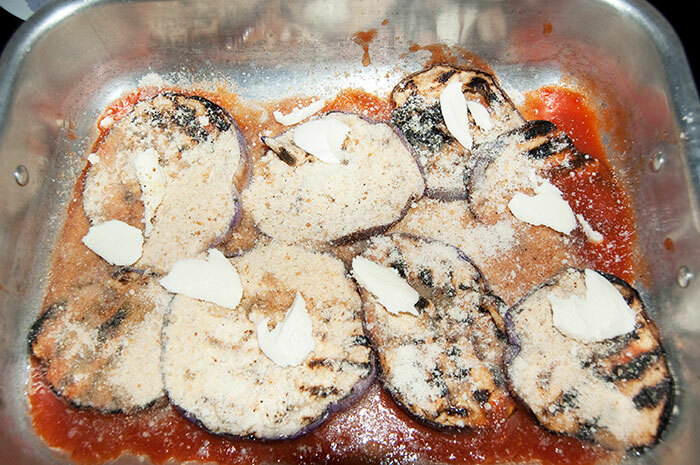 Replace the normal mozzarella with light mozzarella. Proceed in order as described above.